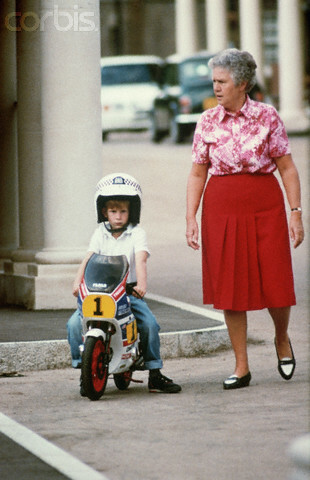 There’s an innocent freshness about this… years before we Met the Nicest People on a Honda or the Good Times Rolled with Kawasaki: sporty youngsters havin’ a whale of a time! Not a care in the world… .. . I want a blue sweater with giant “T” on it! 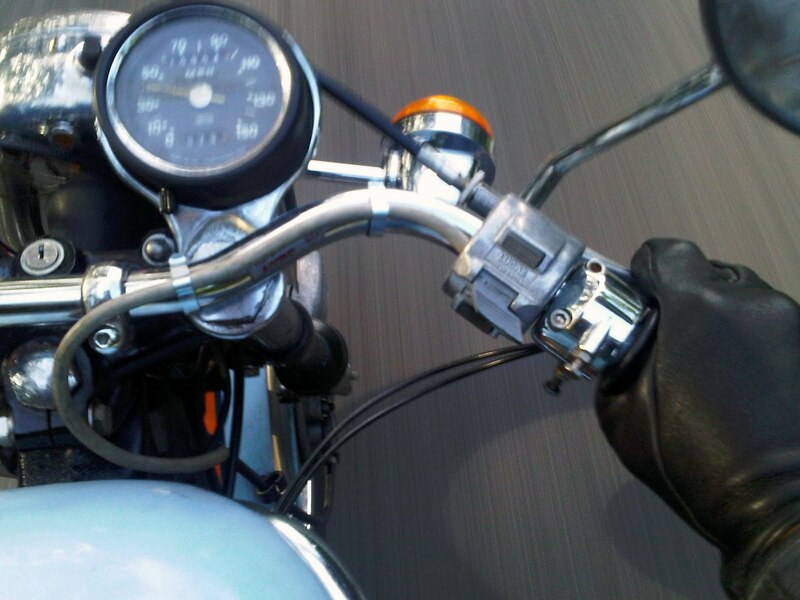 All The Gear All The Time: wear your leathers! No, not your skin, a thick cow hide! 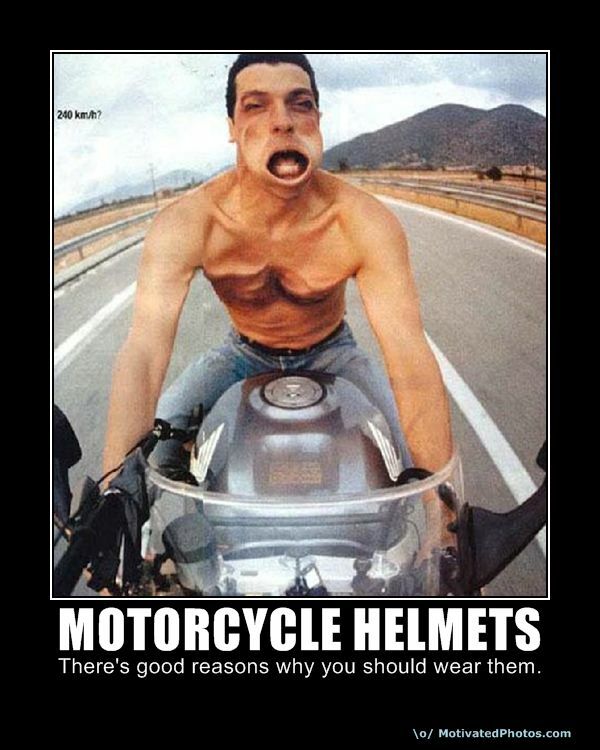 A racers know, there’s a compelling reason to wear good quality gear, especially when you may need to take a bikeless trip along the road! 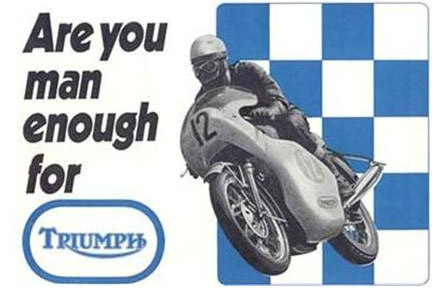 Further to yesterdays post regarding the ‘ideal’ modern 500cc; here’s a beaut of a 500cc Triumph. 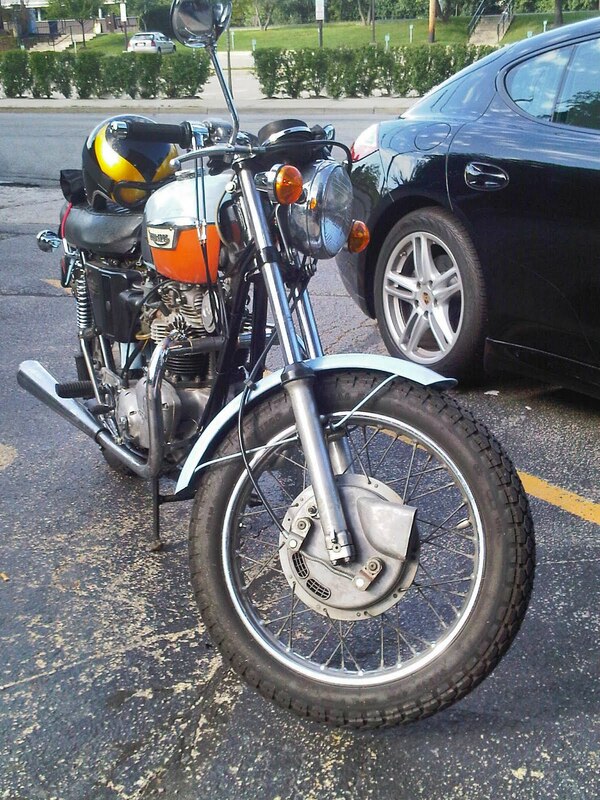 The ’71 Tiger set up with reproduction Avon fairing and race seat. All in a nice carmine red and black scheme. 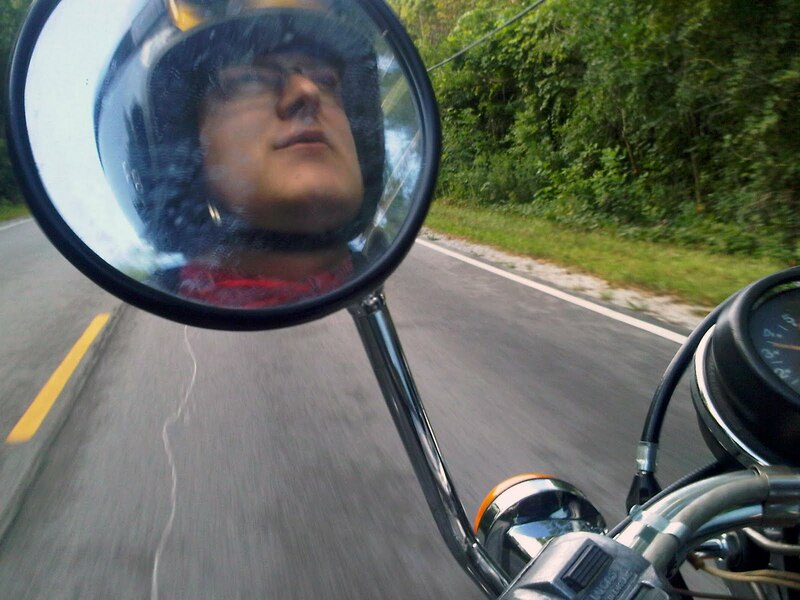 I’d love to put a nosepiece like this on the Bonnie. 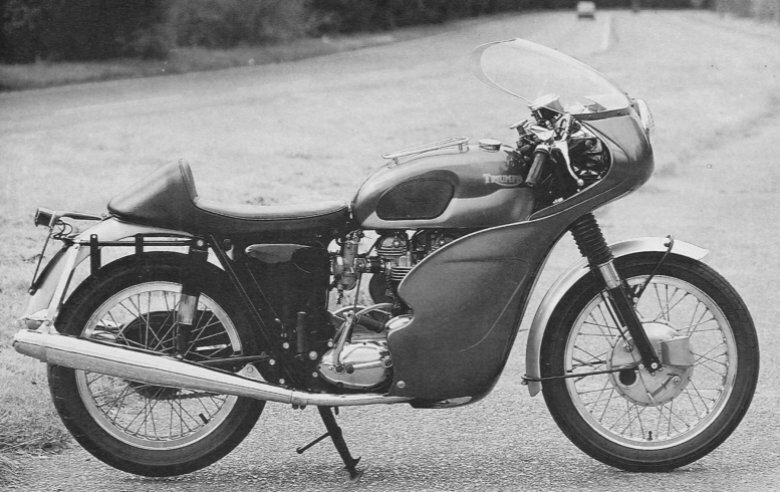 I was walking the dog just thinking that Kawasakis little 500cc twin would make a nifty cafe; when there parked was the very model sans fairing and adorned with a round headlight. A few more clean-ups and a great ride could be cojoured up for not a lot. Super reliable too. 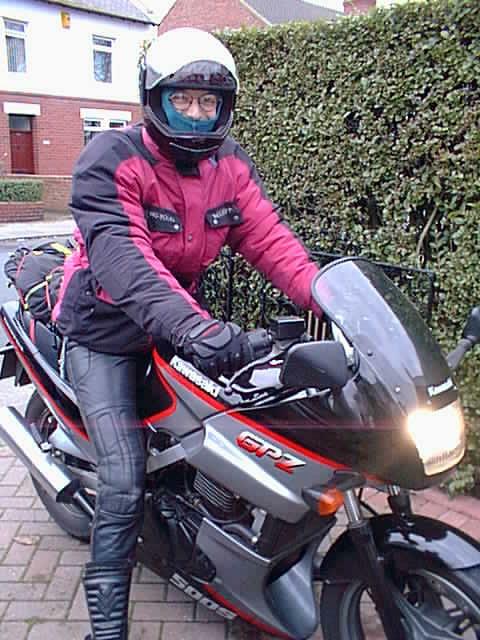 I had a GPZ500s in London… great bike. There I am wrapped up for a November jaunt from the North East down the M1 to London. 1997. 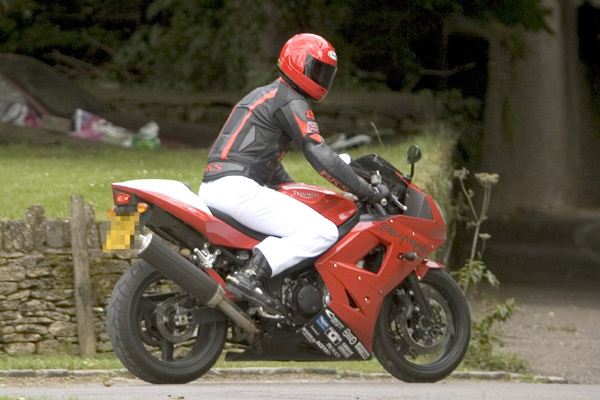 A big fast Fireblade at 140mph and the effects on the face. 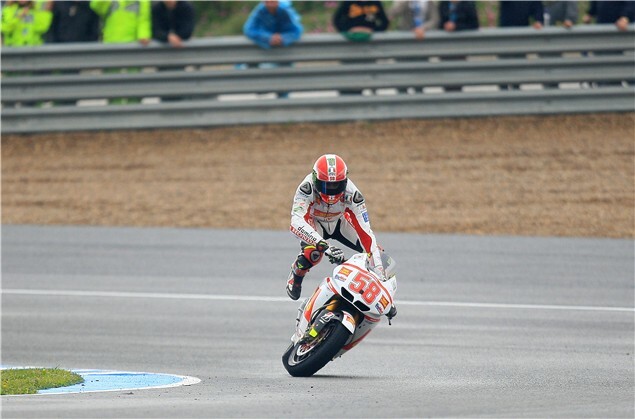 …to modern AHRMA racing machine. 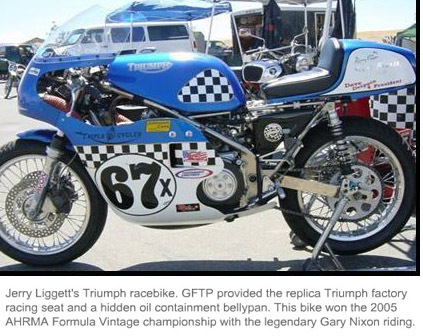 What a beautiful track moto, and with a current provenance of success on the circuit; especially the recently late, but undoubtedly great Gary Nixon. 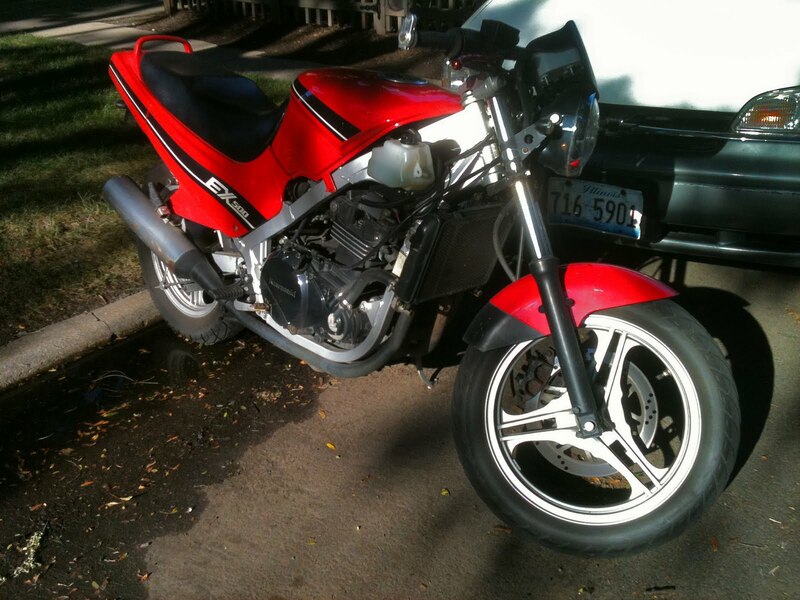 Fairing, ace bars, race seat, long pipes….. she must go fast! About 50 of these were made; so finding an original is rarer than hens teeth. 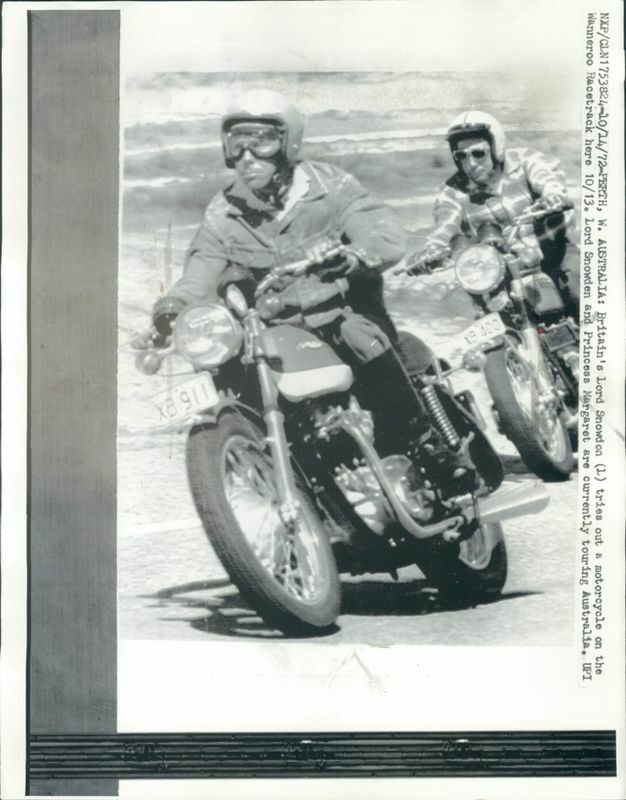 Unearthing this older photo of Lord Snowdon riding a Triumph during a visit to Australia I thought I’d see which of the Windsors enjoyed two wheels; Charlie likes cars, especially classic and fast Aston Martins, however the boyz, Wills and Harry enjoy two-wheeled fun! 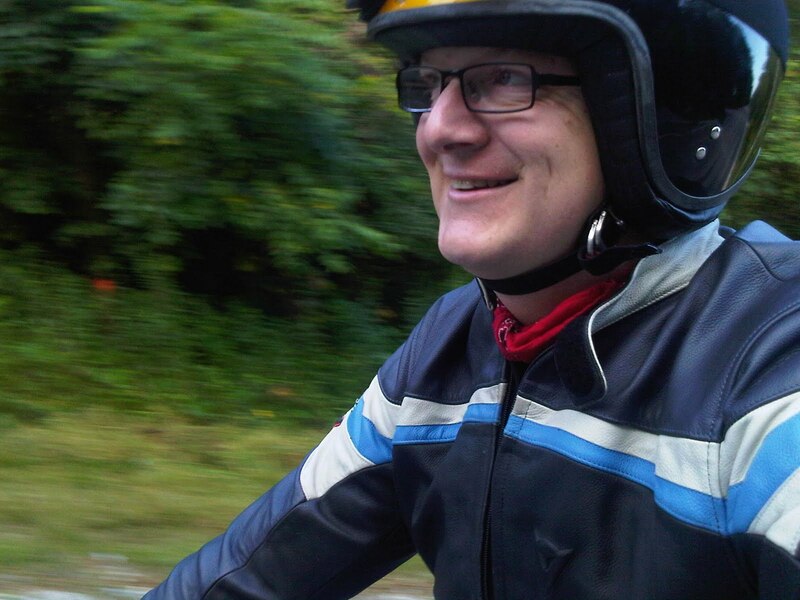 First off here’s Snowdon on a Bonnie. 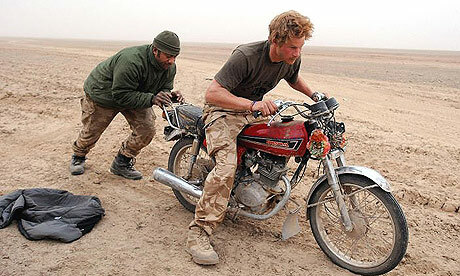 Harry with some derelict in Afghanistan, a tough little starter; I’m sure the dust doesn’t help! 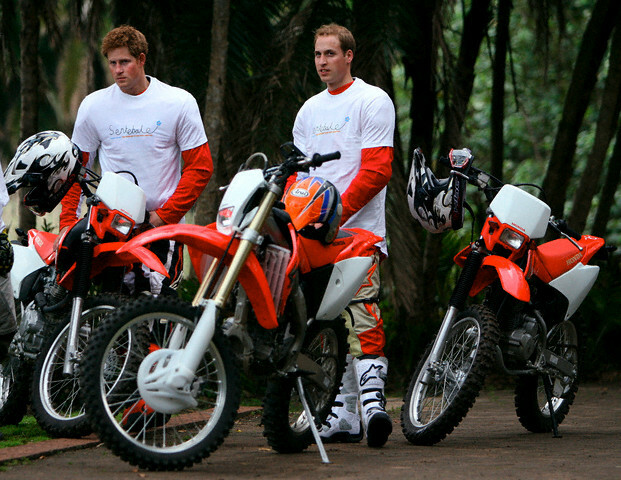 The two brothers also did an African oddysey taking trails across 1,000 miles of South Africa and Lesotho. They visited villages on locals in relation to charity work for children and AIDS. 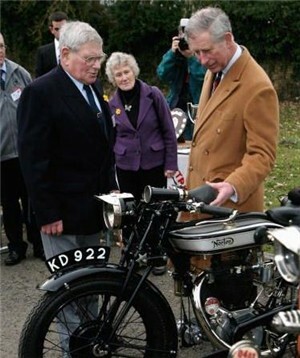 …and although Charlie isn’t a two wheeled afficionado, here he looks on as a vintage Norton owner extolling the virtue of riding a classic British iron. 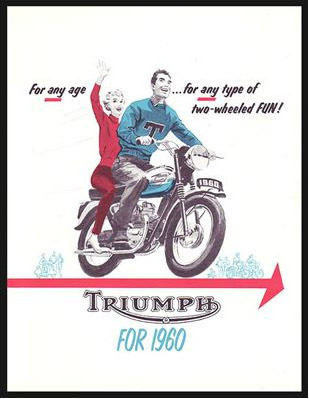 A superb sketch advert from the mid-fifties of a Triumph acting as tea delivery ride in a car race. The effortless linework achieves a sense of speed and fluid brushwork on the people add livliness. wash and white lines fill the graphic. 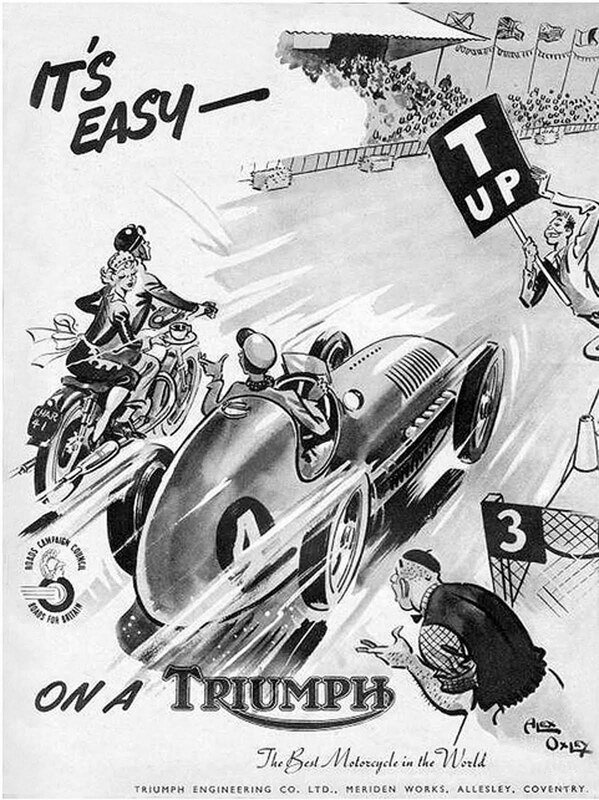 “It’s Easy-” The cheeky chappy with the T-UP sign… priceless like Dandy comics. Cool shadows on a crisp fall-like morning. Quiet roads, apart from the cyclists, allow unimpeded flow. Up Lake Bluff and back stopping at Bobs local seven-eleven for a fresh coffee and fredhly baked chocolate chip cookie. 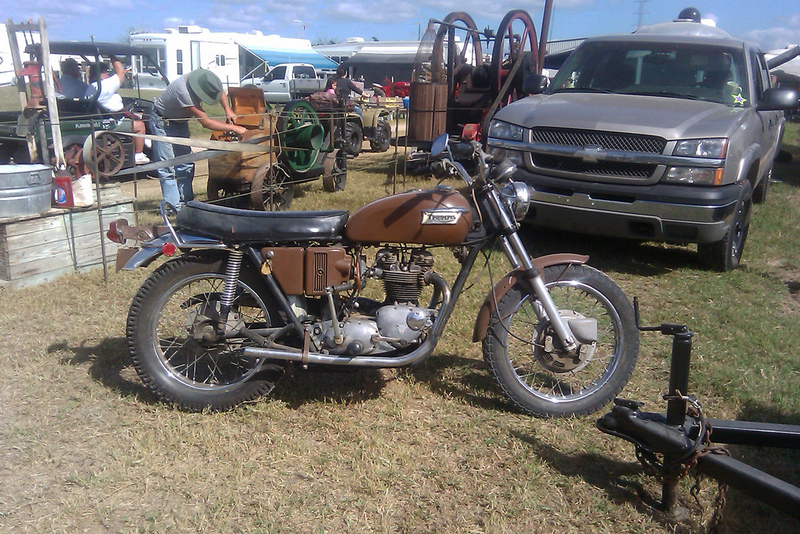 Here’s a complete, though time worn example of a 71 or 72 Bonnie; resplendent in a somewhat earthy brown colour scheme ~ which includes the side covers. 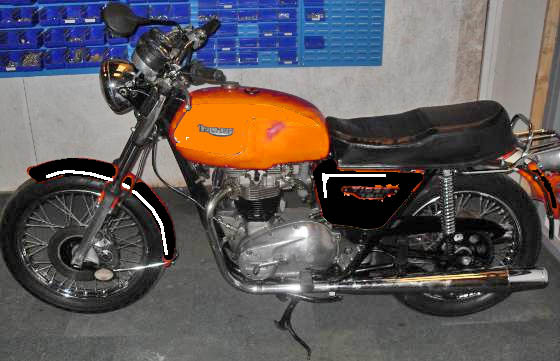 Another photoshopped image of a big tanked 70’s trumpet this time with black fenders/mudguards. Still considering this for my ride. The color of Eddy Merckx cycles. 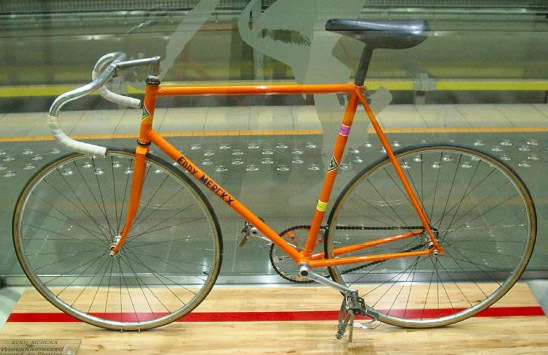 Here’s Eddy ‘The Cannibals’ ride he used in Mexico City in ’72 to gain the hour record. 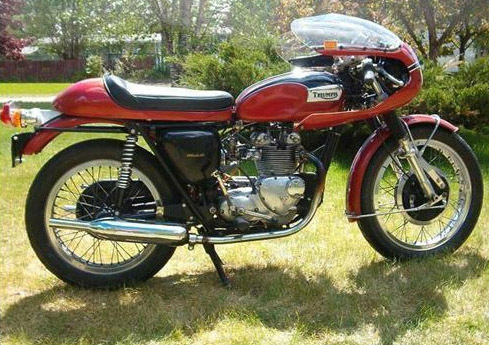 You have your Triton’s, Norbsa’s, Norvin’s, and other marriages of engine and frame. 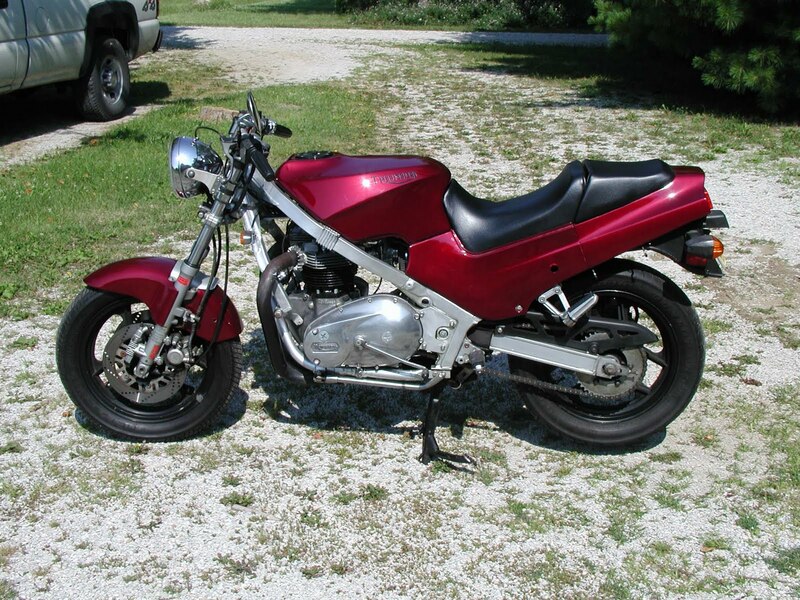 Well here’s a novel one: a 750cc T140 shoehorned into a late 80’s Kawasaki Ninja 600 frame! 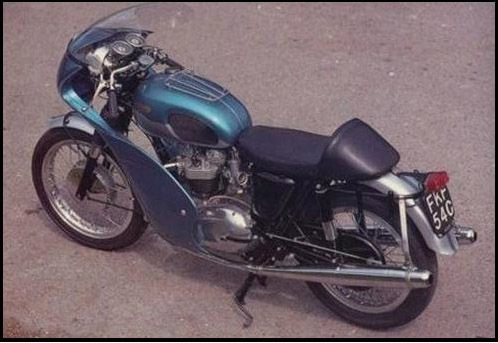 A curious merger which has a balanced look to it, though I’m sure it gets double takes when people hear the classic twin sound come from a sports bike! 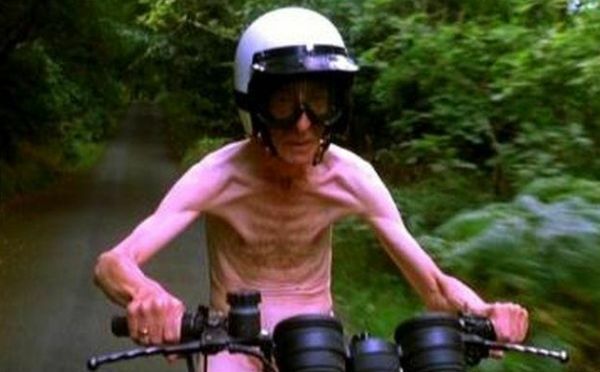 Canadian Comedy show; here’s an image from it with ‘too kool for skool’ kids smokin’ an’ ridin’. I found this illustrator on another moto blog and really like his style; superb handsketching with a distictive line. Both coloured pencils and paint. 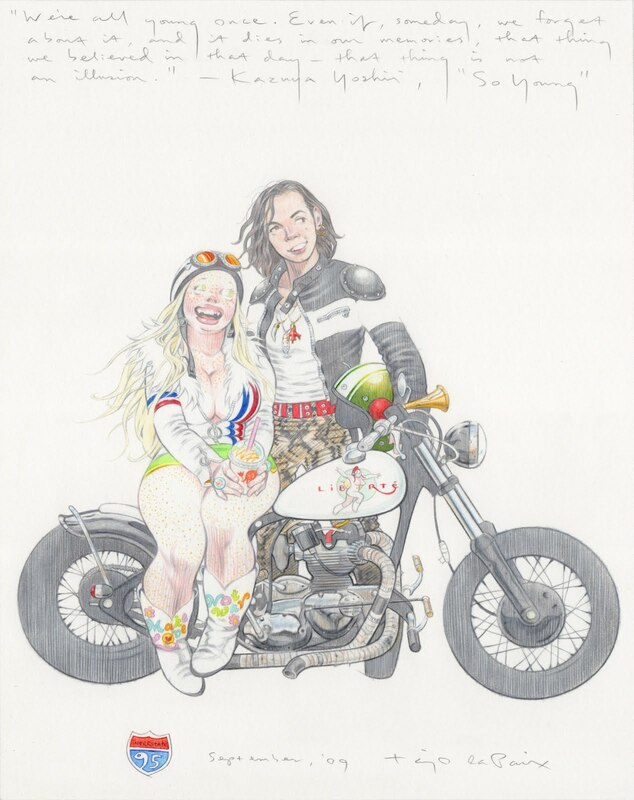 He’s based in Asheville NC and most of his work includes his muse Pappilla LaPaix, an imaginary gal with an unassuming self confidence. You believe she’s real with the expressions he has her ‘pose’. Fun and lively stuff! 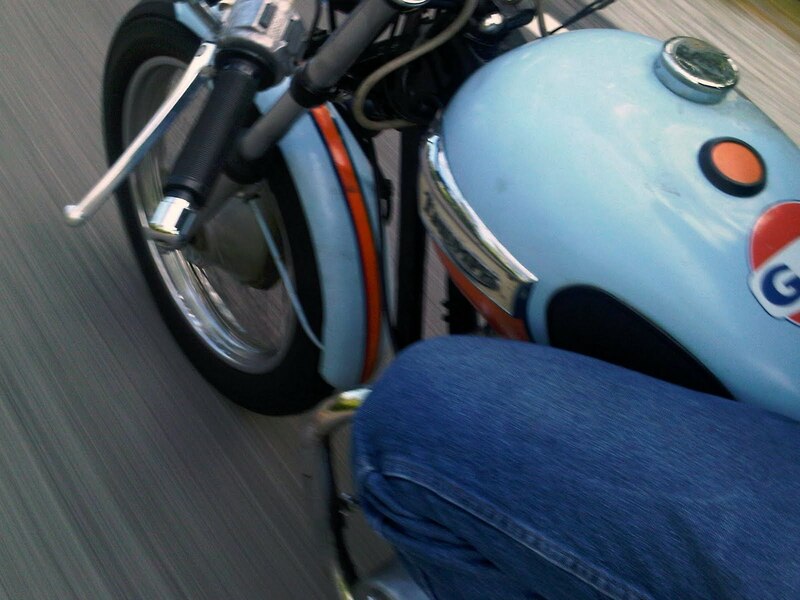 Oh, and she’s sitting on a nice Bonnie Bobber.